Exodus 34:1–35, Prophetic pictures of Moses’ second ascension of Mount Sinai. Moses’ second ascension of Mount Sinai is a prophetic picture of the saints’ resurrection and glorification at the second coming of Yeshua the Messiah. According to Jewish tradition, Moses ascended Mount Sinai to receive the second set of stone tablets containing the Ten Commandments on the first day of the sixth month or 30 days before Yom Teruah, which occurs on the first day of the seventh month. Forty days later on Yom Kippur he descended from the mountain carrying with him the second set of tablets as a sign of YHVH’s forgiveness of the children of Israel after the golden calf incident. This signaled YHVH’s renewed relationship with Israel after they had repented of golden calf worship. Is your job a launch pad into your ministry? Exodus 3:1, Tending the flock. Moses spent forty years in the wilderness of Midian tending the flocks of Jethro, his father-in-law. After this phase of his life, YHVH called and commissioned Moses to lead the children of Israel out of Egypt and then to shepherd them through the wilderness en route to the Promised Land. This was the very same wilderness where Moses had shepherded Jethro’s sheep for forty years. Moses’ job as a physical shepherd prepared him for the next phase of his life—his ministry as a spiritual shepherd. Often YHVH chooses individuals as his servants based on their vocational background, which provides training for the spiritual ministry to which he then calls them. For example, David was a shepherd before he became the king over Israel. Yeshua was a carpenter before he became a builder of the spiritual house of Israel (Heb 3:3–6; 1 Pet 2:5), and several of Yeshua’s disciples were commercial fishermen before becoming “fishers of men” or apostolic evangelists. Sometimes our physical vocations may be an indicator of what our spiritual calling is. Being a shepherd of physical sheep is a most suitable profession to prepare one for tending YHVH’s spiritual sheep. A shepherd has to put the needs, comfort, care and protection of the sheep above that of his own. This is one reason why the Scriptures refer to those who care for and protect YHVH’s spiritual sheep as shepherds or pastors. There are many similarities between physical and spiritual shepherds, and physical and spiritual sheep. Unless one has been a physical shepherd and cared for physical sheep, it is unlikely these reasons will be readily apparent. Exodus 17:11, Moses held up his hands. 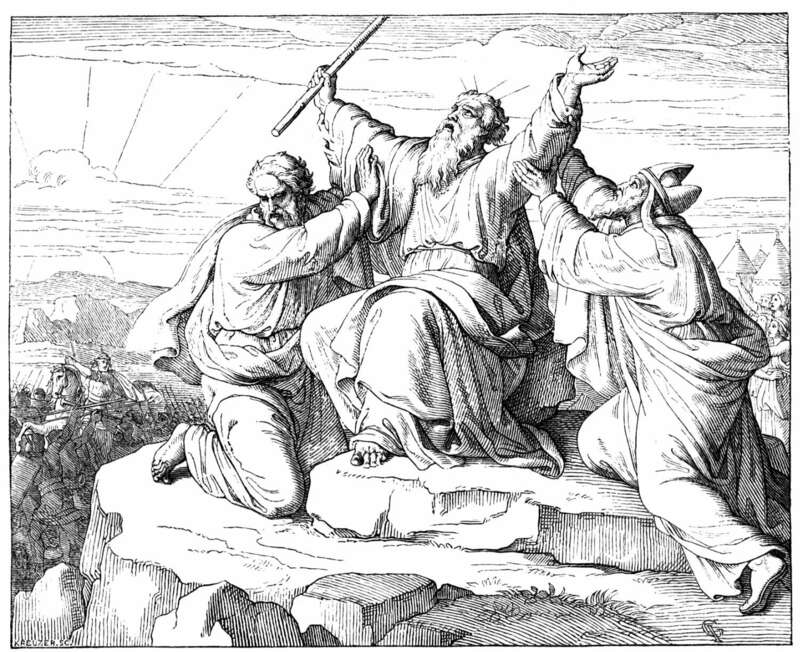 Here Moses goes to the top of the hill with his rod in hand and raises his arms as in surrender (to YHVH, not to the enemy). As long as his arms are raised, the Israelites under Joshua prevail. Finally Moses’ arms become weary and the arms hang down supported by rocks, so that with his rod in his hands now resembles Yeshua on the cross. Meanwhile, Joshua (Heb. Yehoshua or Yeshua) leads the Israelites to victory over the Amalekites. This is a spiritual picture of the saint surrendering to Yeshua at the cross who then leads us to victory over our enemies. In the end times, Yeshua is returning to this earth on a war stallion to judge the wicked and once and for all to defeat his enemies who have tried to king (Amalek means “I am king”) over his people. This is also a picture of prayer and intercession. Battles are not won so much by men and weapons as they are through prayer. As with Moses, spiritual battle through prayer can become fatiguing and wearisome, yet the spiritual warrior must press onward beseeching heaven in mountain moving faith if the battle against the enemies will be won. Often the weary spiritual warrior must seek the aid of other spiritual soldiers to assist and support him in his spiritual endeavors. Not all of our children will be a blessing to us…sadly! Exodus 2:22, Gershom. A sad piece of Bible trivia is that some of Moses’ descendants didn’t follow in his righteous steps. Gershom’s sons became idol worshipers (Judg 18:30–31). Many of the children of righteous men in the Bible didn’t follow in the footsteps of their fathers in remaining faithful to Elohim. Examples include Isaac (Esau), Aaron (Nadab and Abihu), Samuel (1 Sam 8:1–3), and David and many of the other righteous kings of Judah. What’s more, the Bible tells us nothing about the spiritual status of the sons of any of the prophets or apostles. Whether they remained faithful to YHVH or not, we don’t know. If they had been notable in their service to YHVH, it seems that Scripture would have some record of it. One thing seems certain. Most of the high visibility servants of YHVH were solitary figures. Little if anything is known about their spouses, families or children who seemed to play no major role in the key figure’s ministry activities. Interestingly, there are also several examples of righteous sons coming from unrighteous fathers and vice versa. This is the case with several of the kings of Judah. All this is to say that just because a child was raised well in a godly family doesn’t guarantee they will continue to serve Elohim and walk in righteousness. Likewise, just because a child was raised in an ungodly, even wicked family, doesn’t mean they will be wicked and ungodly. Salvation is an individual matter. YHVH calls and chooses whom he will, and it’s up to the individual to respond to that calling. Some will respond, but most will not. As Yeshua said, many are called, but few are chosen (Matt 22:14). Why did Yeshua allow Moses to permit divorce? Matthew 19:8, Moses permitted. From Yeshua’s statement here, it would seem that Elohim gave Moses certain freedom and latitude to redefine certain Torah principles to accommodate the needs and realities of fallen and sinful man. 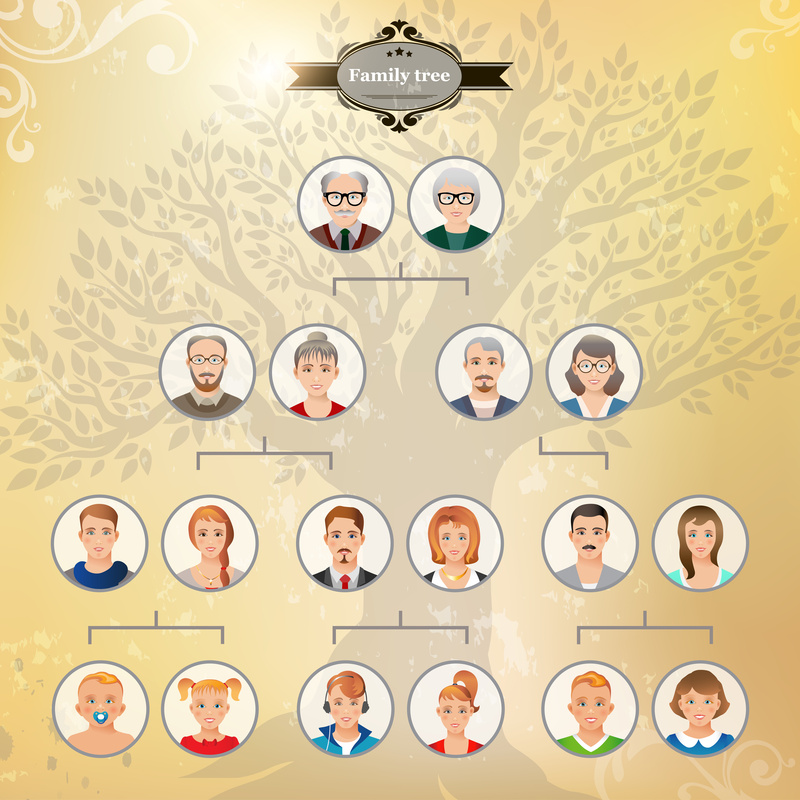 In the case of marriage, even though it was Elohim’s highest ideal for a man to leave his parents and cleave to one wife for the rest of his life or until she died (Gen 2:24), the reality is that man too often is incapable of living up to the Creator’s highest ideal because of the hardness or sinfulness of his heart. It is important to note that YHVH gave the marriage command before the fall of man had occurred (Gen 2:24 cp. Gen 3:1–6). 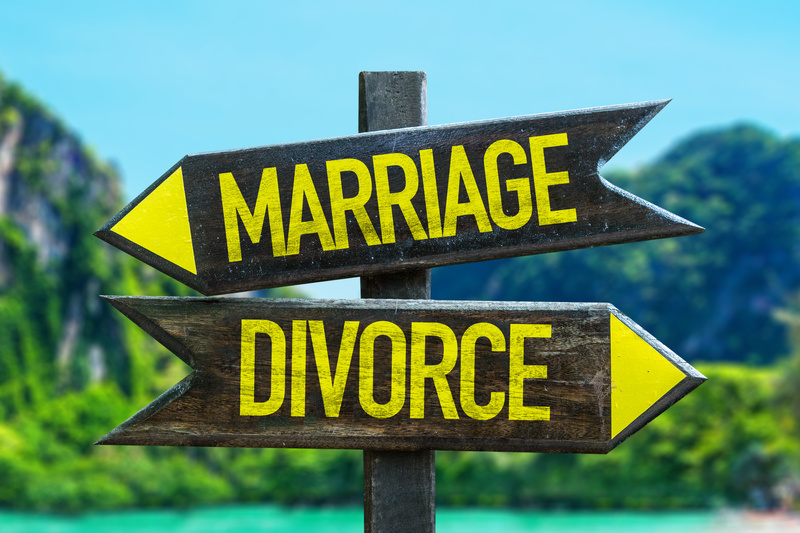 In light of the fact of the fall of man when sin entered the world thus negatively affecting the marriage relationship, YHVH allowed Moses to permit divorce under certain circumstances (see Deut 24:1–4). Deuteronomy 18:10, One who causes his son or daughter to pass through the fire. This was done in honor of the Canaanite deity Molach (see Lev 18:21 and 20:1–6). The name molach/lKN/mem-lamed-chaf sofit in Hebrew means “king” with the root of the word meaning “to rule or reign.” Child sacrifice (the ancient form of modern abortion/infanticide), though a pagan practice that YHVH abhorred, was practiced by both houses or kingdoms of Israel as they drifted into syncretism with the heathen cultures around them (see 1 Kgs 11:7; 2 Kgs 16:3; 21:6; 23:10,13; Jer 7:31; 19:5; Ezek 16:20; 23:37). Baal appears to be a synonym of Molach (see Jer 19:5 and the Ency. Britan. eleventh edit., vol. 18, p. 676). The dead bodies of sacrificed children were thrown into the garbage dump of the Valley of Hinnom or Tophet just below the Temple Mount in Jerusalem (Jer 7:31; 19:5–6). Apparently, the children were not burned alive, but were slain (by knife) like any other sacrifice before being thrown into the fire and then into the garbage dump (Ibid.). The ancients sacrificed their children to appease their bloodthirsty gods of prosperity, sensuality and fertility (The Story of Civilization, vol. 1, by Will Durant, pp. 66–67, 297). Moses gives a veiled rebuke for sin and disobedience, and gives a review of the journey from Mount Sinai to Kadesh with exhortations to obedience. The religious foundations of the covenant, the spirit in which it is to be kept and the motives to right obedience are discussed. 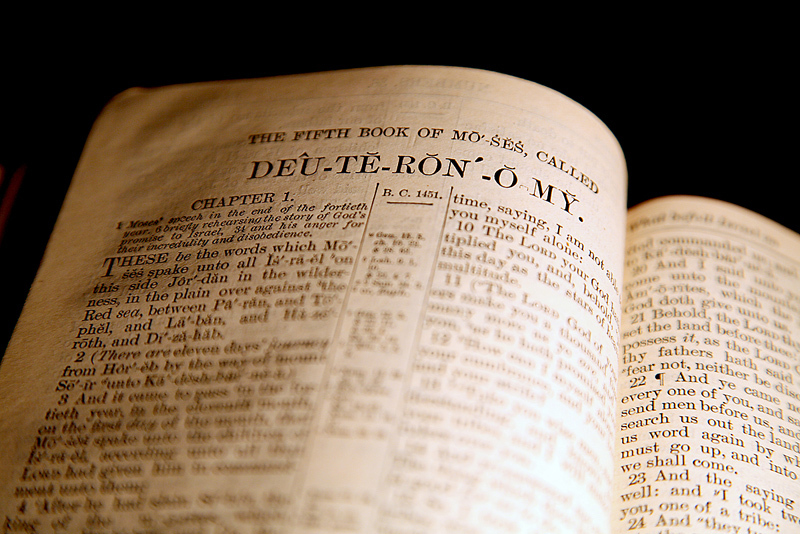 Moses shows how the covenant defines the relationship between YHVH and Israel and emphasizes the basic spiritual demands that such a relationship imposes upon Israel. The enforcement of the Torah-law with its blessings and curses; establishment of a fresh covenant between YHVH and Israel (i.e., the younger generation). Chapter 31, Committal of the law to the keeping of the priests. Chapter 32, The Song of Moses (a prophecy about Israel’s future). Chapter 33, Moses’ patriarchal blessing over the tribes of Israel. Chapter 34, The death of Moses.